Weekends is the best time to do some activities with the kids. 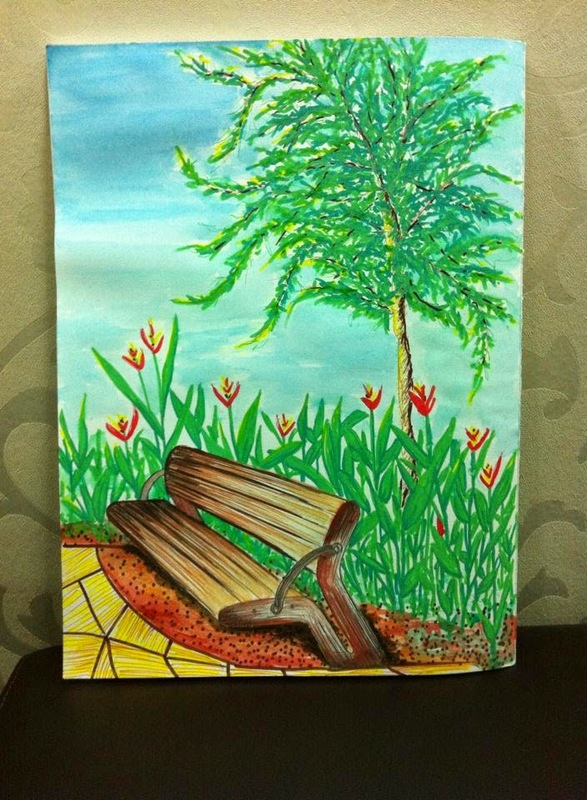 We planned for this outdoor painting and brought along art paper, pencils, eraser, markers and a clipboard just to hold the art paper. My darling always feel that my drawing is so much nicer than hers. I always assured her that her drawing is also very beautiful. She has her own style in her drawing. One passerby just came over when we were halfway drawing then and said it's nice! Isn't that a good compliment? :) Well, the most important thing is, we have fun! Okay, here is mine. I do the touch up with water color for the background at home. 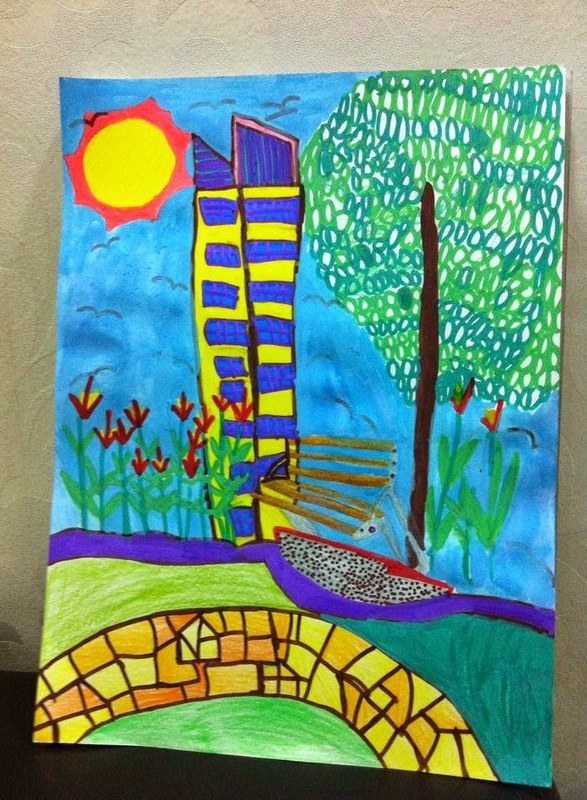 This is my darling's drawing. I like the tree which is drawn in a different way. I like the path way which is in yellow too.